Temporarily on Back Order. 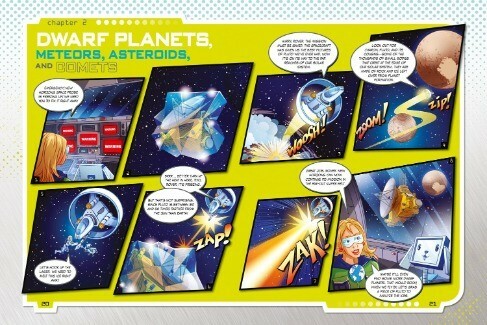 New from National Geographic Kids, this book is perfect for introducing kids to outer space through in-depth info and comic book adventure. 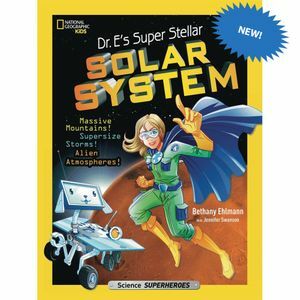 Kids will follow explorer Bethany Ehlmann, a member of the NASA Mars Rover Curiosity mission, and her lovable robo-dog, Rover, as they study and protect our amazing solar system. 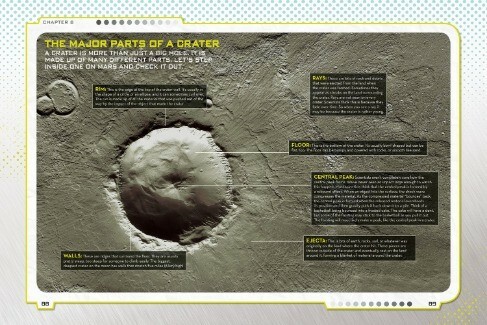 Dr. E's conversational and funny explanations of the solar system and planetary geology will pull kids in like gravity. The pairing of fun, graphic novel side stories with science facts makes big concepts accessible and interesting to boys and girls of all levels.